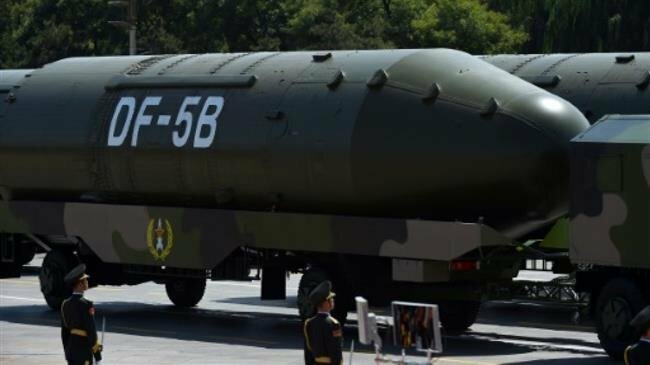 China has rejected Germany’s appeal to join a Cold War-era arms control treaty from which the United States unilaterally withdrew this month, saying it would place unfair limits on the Chinese military. Chancellor Angela Merkel made the appeal at the 2019 Munich Security Conference and called on China to join negotiations about saving the Intermediate-Range Nuclear Forces (INF) Treaty. Merkel warned that the withdrawal of Russia and the United States from the 1987 pact could result in a new arms race in Europe. “Disarmament is something that concerns us all and we would of course be glad if such talks were held not just between the United States, Europe and Russia but also with China,” she said. Yang Jiechi, a senior Chinese foreign policy official, confirmed Beijing’s unwillingness to submit to the INF. Moscow and Washington are signatories to the 1987 INF treaty that bans the deployment of nuclear-armed intermediate-range ballistic missile with a range between 500 and 5,500 kilometers in Europe. On February 1, US President Donald Trump announced Washington’s withdrawal from the Cold War-era treaty, arguing that the Russians had violated it for years by deploying ground-launched missiles that fell within the banned range. Moscow has denied any violation, accusing Washington of breaking the deal. President Vladimir Putin also announced this month that Russia would suspend its participation in the INF. Russia says the US has for long been inventing a false pretext to exit the treaty so it can develop new missiles. Putin has warned that the collapse of the agreement would spark an arms race and that Moscow would not deploy any new missiles unless Washington did so. Earlier this month, Russia demanded that the US destroy its weapons banned under the Cold War-era arms control treaty and return to compliance with the agreement. Military experts have said Washington “is simply putting Europe under fire” and that it is unlikely to win anything from its unilateral withdrawal from the treaty. A recent Reuters report revealed that the United States and European countries spent more on military last year to sustain their advantages over Chinese and Russian technology. The report cited Russia’s upgrades of air bases and air defense systems in Crimea as well as China’s move to modernize People’s Liberation Army by 2035. “China perhaps represents even more of a challenge, as it introduces yet more advanced military systems and is engaged in a strategy to improve its forces’ ability to operate at distance from the homeland,” the report added. The rise in military spending came amid rising pressure by Trump on European states and NATO member countries to spend more on military technology which is a monopoly of the United States. VIDEO+PHOTOS: Microsoft Bing Translates “Daesh” into English as “SAUDI ARABIA”!